On the occasion of the 60th edition, the Cadrat d’Or prize was attributed to 3 printing houses for their proposed works. Two of these tied for first place: La Manufacture d’Histoires Deux-Ponts and Technic-Plus-Impression (TPI). A third “jury prize” was exceptionally awarded also. What is the Cadrat d’Or? The Cadrat d’Or is a prize recompensing the most innovative and creative French printing firms. The participants must present 2 or 3 production works, which have already been proposed to customers, accompanied by a registration form. A jury then has the job of attributing the awards to the best French printing houses . This jury is principally composed of the president Véronique Pivat and the president of the CCFI, Pascal Lenoir. For this 60th prize, no less than 24 subscriptions were received by the jury. The results were announced on 19 May at the Ecole Militaire de Paris. The CCFI recompensed 3 printing houses, of which two were tied for first place , and a third was distinguished with a special “jury prize” . Who were the winners of the 3 Cadrat d’Or prizes? This year’s prizewinner was La Manufacture d’Histoires Deux-Ponts . Established at Bresson, not far from Grenoble, this printing firm was attributed the award for the quality and creativity of the works presented. Having taken home the prize in 2008, it is the second time that this printing house has been awarded a Cadrat d’Or for its accomplishments. For its first participation, the Technic-Plus-Impression (TPI) printing house, located at Betton close to Rennes, finished in tied first place. It won the Cadrat d’Or for creativity and innovation in communication services. 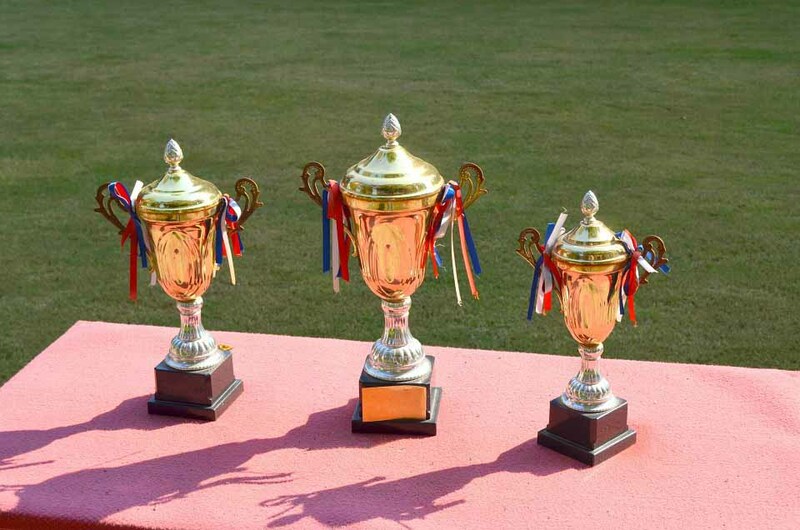 The prize is a sign of the firm’s quality and excellence. Already a Cardrat d’Or prizewinner in 2010, the digital printing house E-Center in Malakoff (near Paris) received the jury’s “Digital prize” for its accomplishments this year also. An award which will encourage this pioneering printing firm, and enable it to continue its work with the new technologies. The 60th edition of this award was held in the presence of nearly 230 personalities from the graphic and art world, including companions of the CCFI, and without forgetting the representatives of the Ministry of the Economy, Industry and Digital Economy. Of the last-named, Benjamin Leperchey, assistant director of the Health Department and Consumer Goods, spoke about French know-how and the quality of the presented works. He congratulated the participants for their adaptability in a sector of constant development. Companies and businesses: do you want personalised advertising diaries for your customers?